It's March! Happy March! Such a promising month as it brings the first day of spring! The new challenge at Mixed Media Monthly Challenge brings some wishful thinking with the March "Birds of a Feather" challenge! We have an amazing amazing sponsor this month! 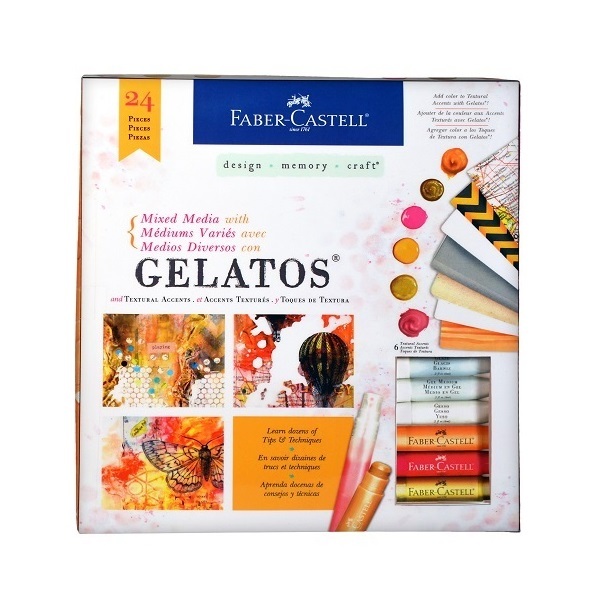 One of my absolute favorite companies, Faber Castell Design Memory Craft, is offering TWO great prizes! 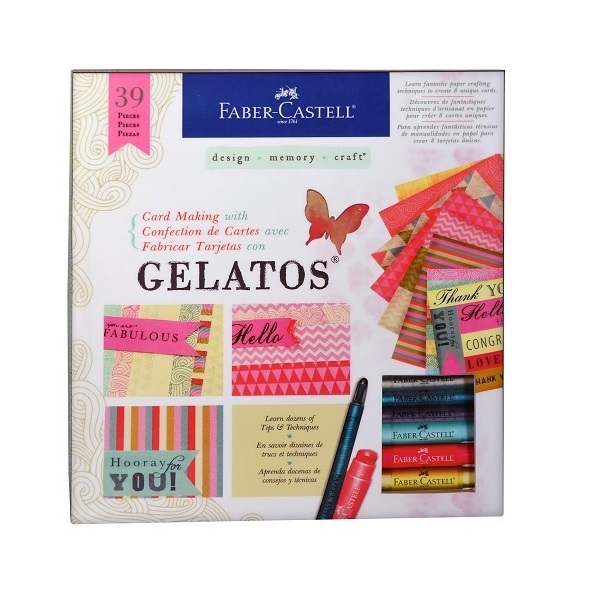 One winner receives a Mixed Media Gelato kit and another winner receives a Card Making Gelatos kit. 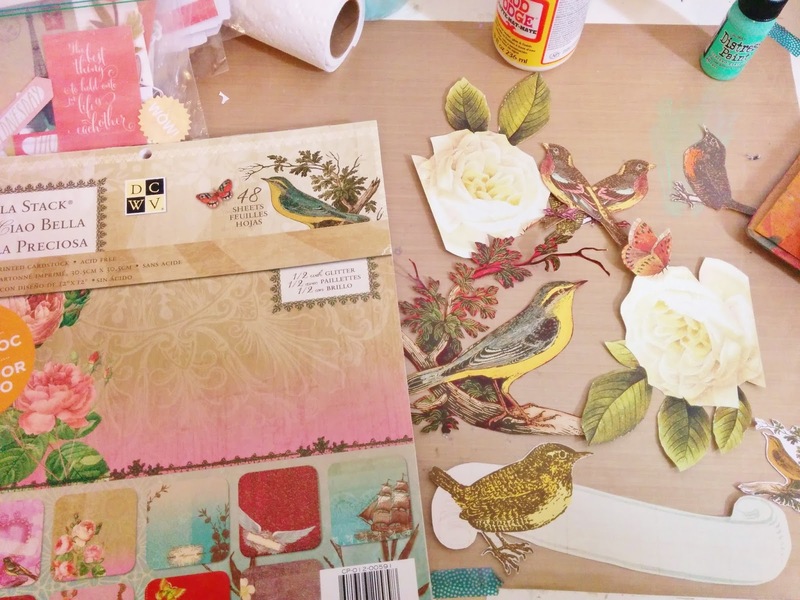 I created an art journal collage filled with images of birds and my favorite Design Memory Craft products. I used a DCWV "hot buy" stack I found at Michael's (for $5!) that was filled with beautiful bird and flower images. 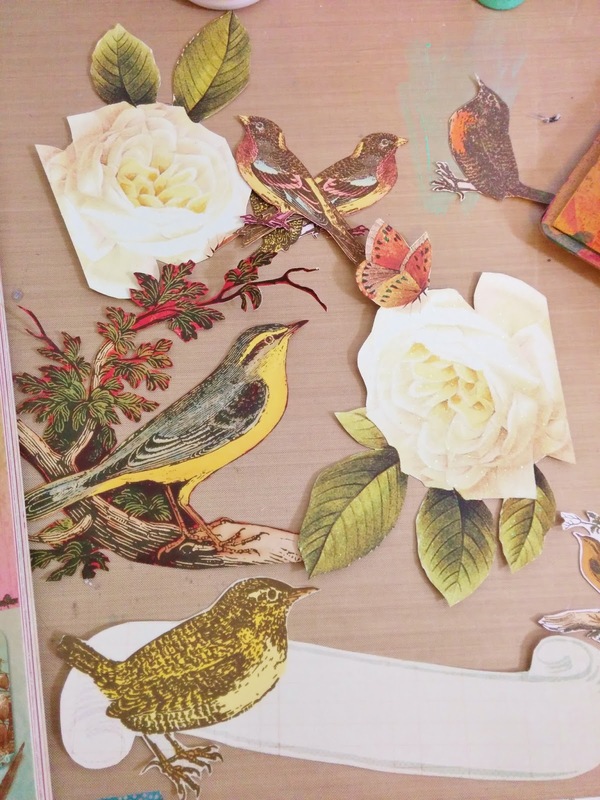 I cut them out to be the focal images of my journal. 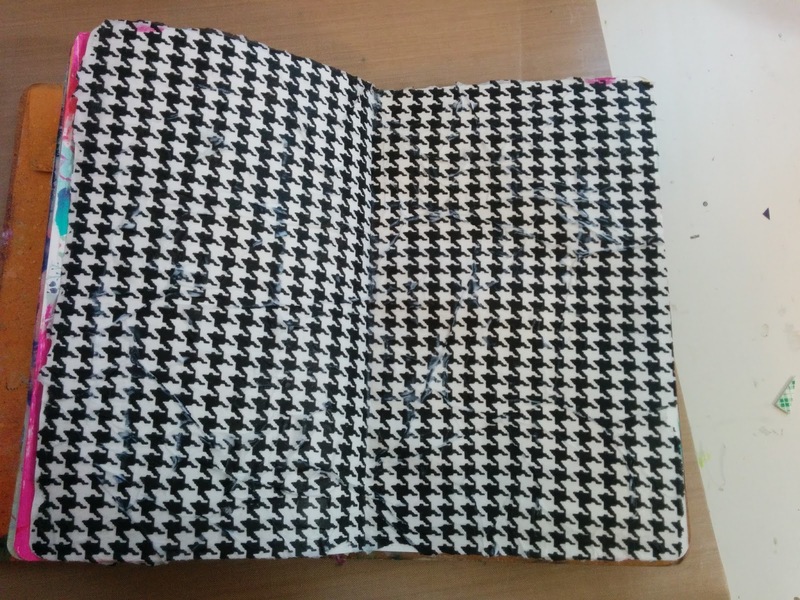 I started by applying this houndstooth tissue paper (from the packaging in my paperissues.com order!) 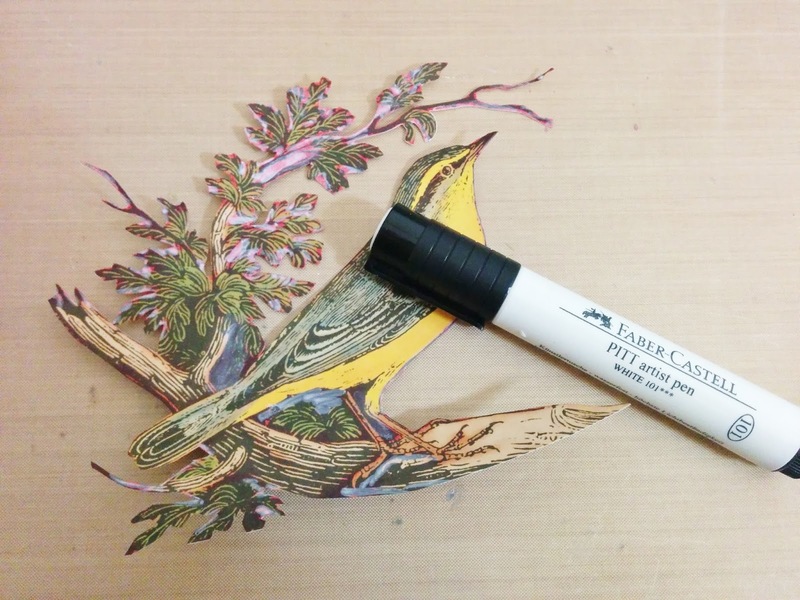 using a coat of matte Mod Podge. 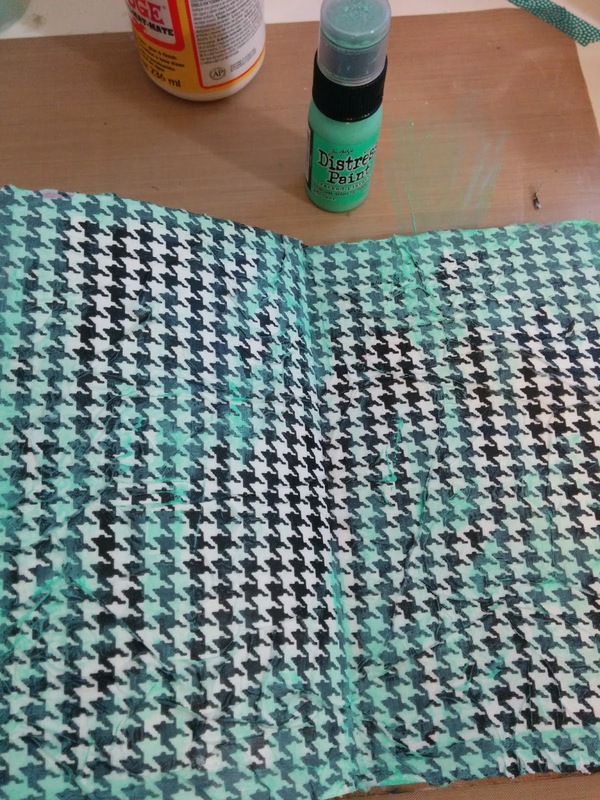 Once the Mod Podge dried I added some Cracked Pistachio Distress Paint. This color combo immediately made me want to continue with a retro vibe and color scheme. 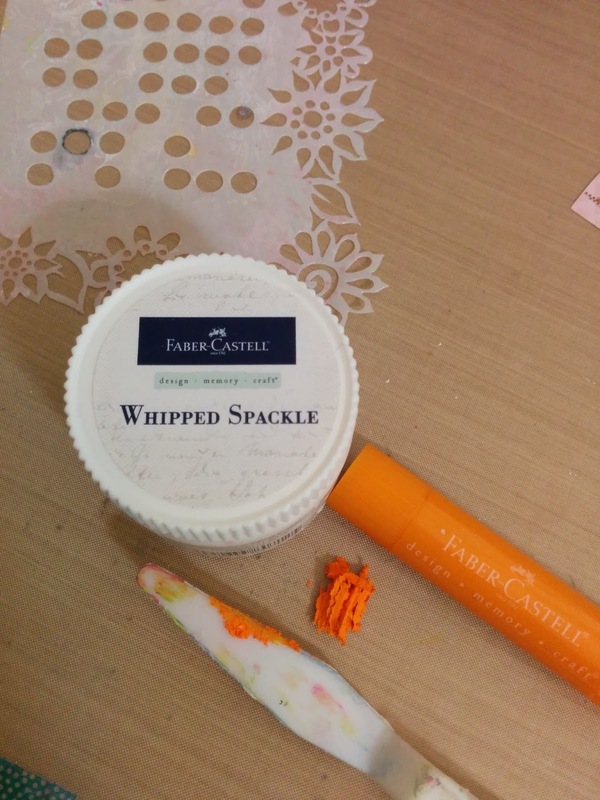 I cut some Mango Gelato and mixed it with Whipped Spackle. 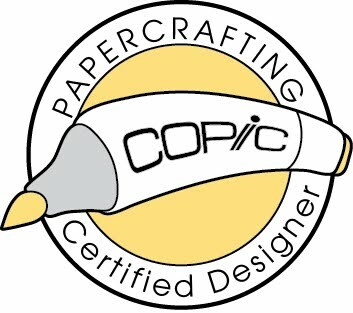 I ran the colored embossing paste over the dotted stencil to add texture. I also added Mango and Metallic Mint Gelato directly onto my page. Next I focused on cutting out a variety of images from this Ciao Bella DCWV stack. I cut out more than I needed, but I will use those on another page later. 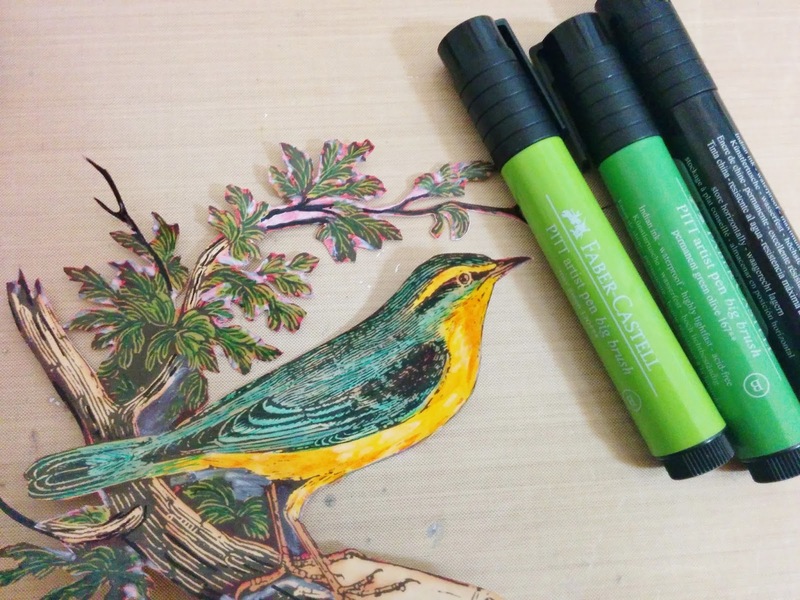 I always start by coating the image with a very thin layer of Glaze or matte Mod Podge. This gives a non-porous surface for your artists pens to work on. For the bird image above, I colored White in all the dark red areas. 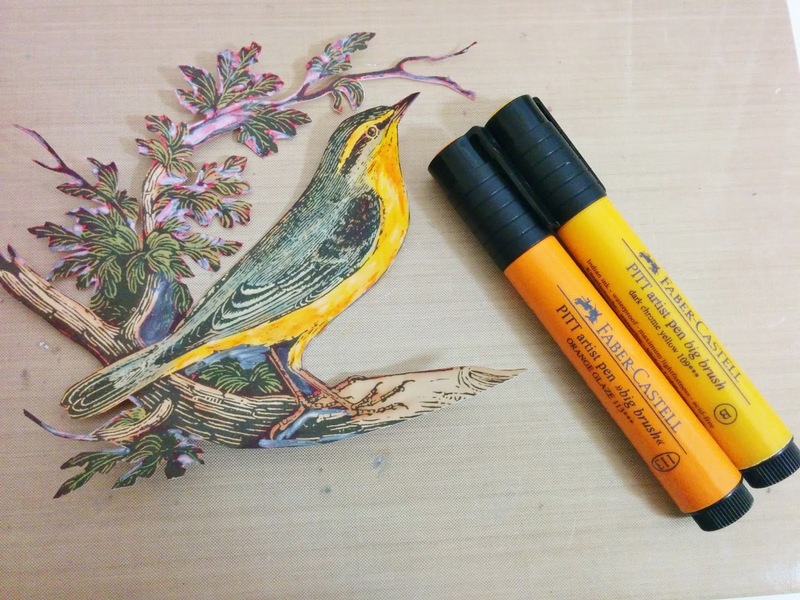 Now I want to brighten up the bird. I added yellow and orange Stamper's Big Brush Pens to the belly. I smear the ink with my fingers to blend and add more color as needed. 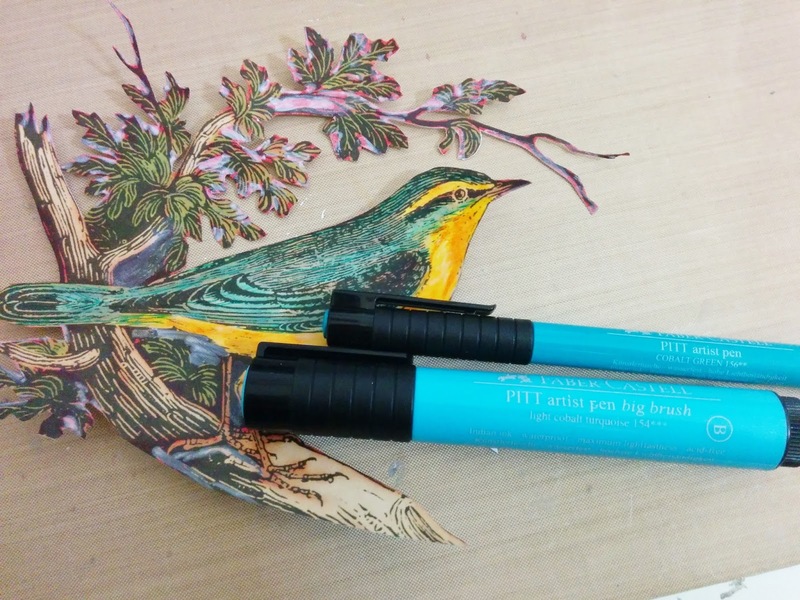 I added more blues and teals to the wings of the bird. Again, I smear the ink with my finger for shading and add the darker colors as needed. Lastly I added greens to the leaves and accented in black. Once these inks dry they are PERMANENT so I can cover the image with other mediums and the color won't smear. Since all my images were cut and colored and the background was finished, now I just had to add the collage pieces. Above you see my finished bird with some Glass Bead Glitter Gel added to his wings. 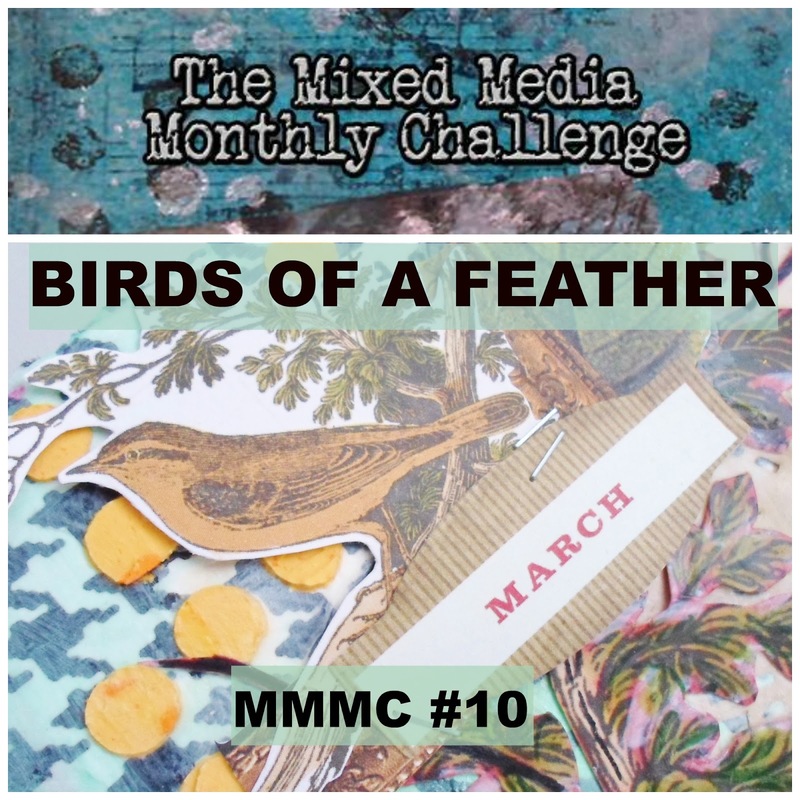 Please join the Mixed Media Monthly Challenge throughout the month of March. 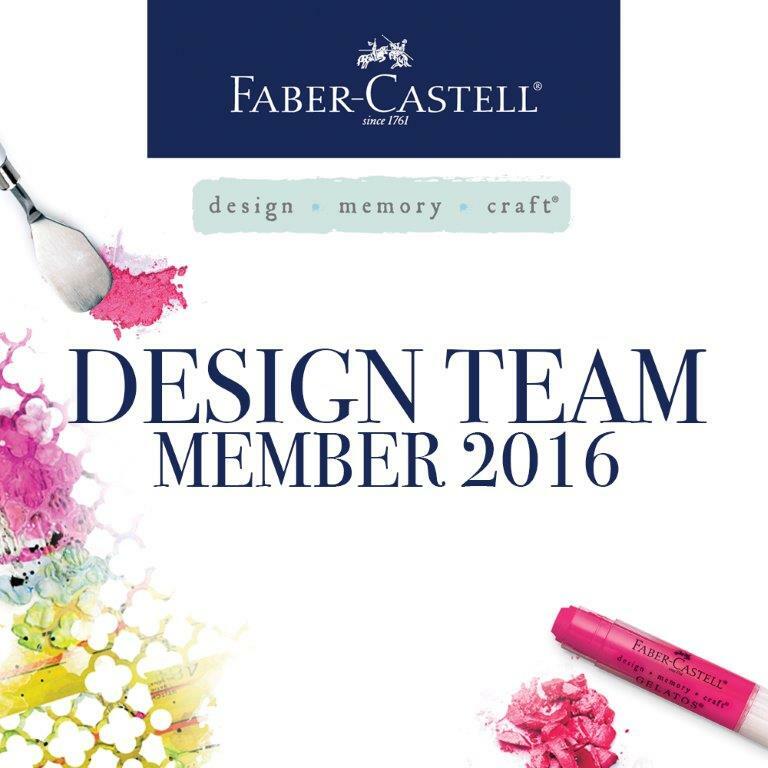 Add your Birds of a Feather projects to our gallery for a chance to win the fabulous Faber Castell Design Memory Craft prizes! Ranger Dina Wakley Media Stiff Bristle Brush, 4 pk. so pretty and I loved your colors!! Wow, what an awesome piece of art. Thanks for sharing some of how you made this.. This is so pretty. What great ideas. 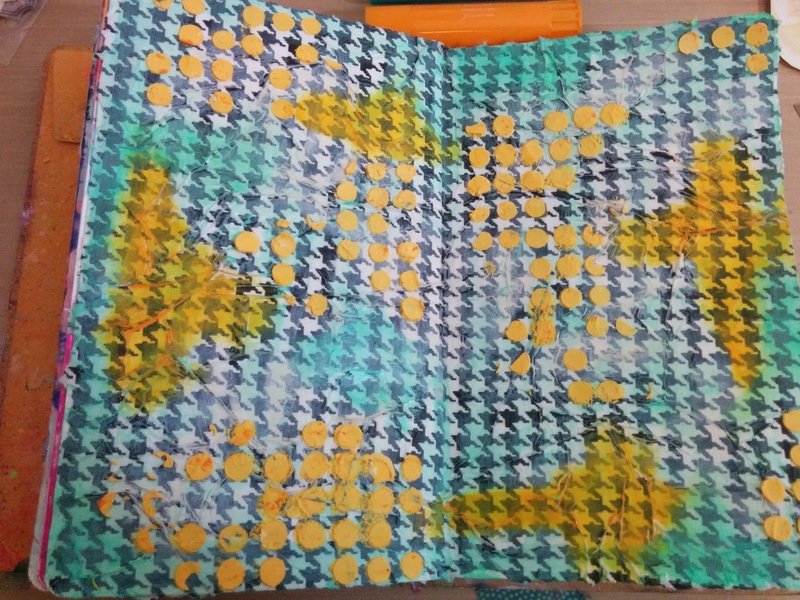 What a beautiful journal page, thanks so much for sharing your techniques and inspiration! 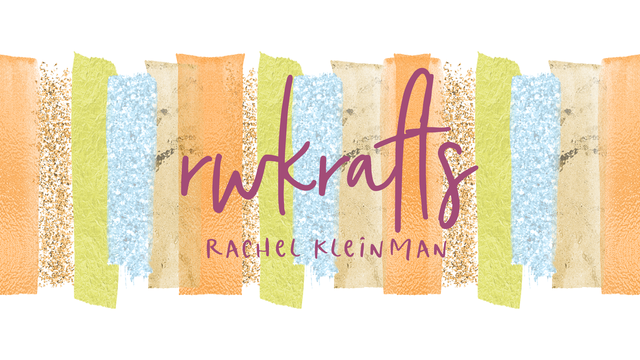 DCWV and TOMBOW Blog Hop! Easter Hop DAY 1 - Bunnies!